This week, Sally Russick, of The Studio Sublime has challenged us to portray "The Possibilities are Endless" in our photography. So I went out and took some pictures of the tiniest hints of spring around my neighborhood. You can see them here: Hopeful Signs. Maybe I jumped the gun, maybe I just couldn't keep these Hopeful Signs to myself. So I looked around for another subject. And here is what I found. 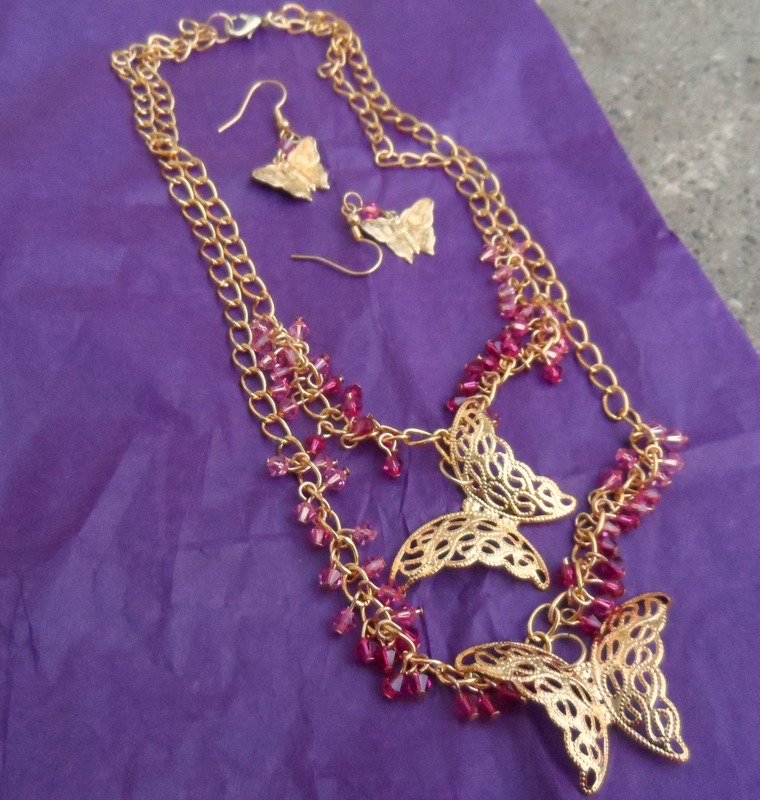 A necklace and earrings from Jeannie Dukic's past! This month I signed up for the 5th Do Over Challenge, sponsored by Jeannie Dukic of Jeannie's Blog. I just received a piece of jewelry that Jeannie made when she was starting out, which she had no intention of offering for sale at this stage in her design career. Rather than take apart these pieces, she offers them to us to "do over!" As you can see, the piece is made of components with a lot of potential. One might say, "Endless Possibilities!" There are a ton of Swarovski crystals, and some cute butterflies. Check back on April 21 to see what I have come up with. Click here to see what others came up with. I love Jennie's do over challenges. It's always fun to see how the pieces get made over. I can't wait to see what you do! Oh how cool!! What a great 'jumping off point' for "endless possibilities". I love Jeannie's work, but know you will 're-work' this into something spectacular! Way cool!! That piece holds endless possibilities, indeed - I can't wait to see what you create with it! I did Jeannie's Do-Over Challenge last year and it was a blast! You have some awesome pieces to work with here! Can't wait to see what you make! I see so many wonderful possibilities in that piece. I'll be back to check out what you see. What fun and yes that piece does hold many possiblities. I will be back on April 21 to see what you have created with this already lovely piece. That's so pretty, I really wanted to get into this do over, but to much going on in my life right now. But can't wait til the revel! Go girl! So many possibilities - looks like you will have fun with this challenge! I wouldn't have been able to resist posting the spring pictures either LOL...and you came up with a great substitute. Very nice! I can see how a do over has endless possibilities! Have fun!! OH, yes, so many things you could do with that! Have fun! That piece of jewelry should be fun to do over. You have some great material to work with. Very cool. There are so many possibilities! I am interested to see what your re-creation look like! 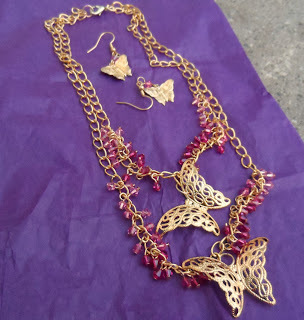 Can't wait to see what you do with your 're-creation' of this necklace! Oh the possibilities! I will have to come back to see what you come up with. I have never done one of these do overs but I have seen many of the projects when they get done on other people's blogs and am always amazed at what they transform into. I can't wait to see what you do with yours! Yours will me a metamorphosis for sure! Beti, Thanx for the look at spring. I got more snow today. It will be a while before it's spring here. 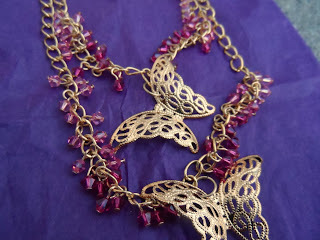 You are right jewelry holds endless possibilities for remaking. I am looking forward to when I can be part in one of Jeannie's challenges. I will check back to se what you make. I have done Jeannie's Do over challenges in the past, and they are so much fun. Have a blast with yours.